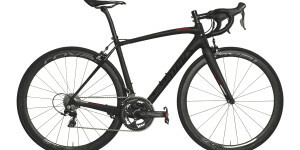 With a $10k pricetag, the S-Works Amira is a rare example of a true top-end bike for women. There’s no better advertisement for a bike than being ridden to victory by a pro after a long solo breakaway. Lizzie Armitstead did just that when she broke clear on the ascent of the cobbles of Michaelgate in Lincoln to win the National Road Race earlier in the year. 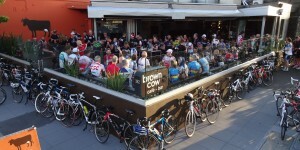 A few months on and she was doing the same thing, becoming the road world champion at the same time. The bike was a Specialized S-Works Amira SL4, which makes it kind of a big deal. 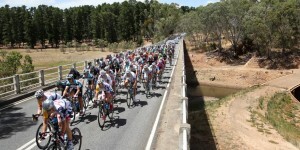 Specialized’s commitment to women’s cycling is among the best in the business, matched perhaps by only Trek and Giant. The company caters for every sector of the women’s market but this bike is Queen Bee – an overachieving, hard-grafting A-lister with a $10k pricetag that draws attention wherever it goes. And it’s a bike with very specific riders in mind. The S-Works Amira SL4 is a pure racing bike, designed for women who ride fast, be they world and national champions, professional rouleurs or ambitious amateurs. But as one of the most expensive off-the-peg women-specific bikes on the market, is this 10 grand steed really what women want, bearing in mind that for many manufacturers the price ceiling on their women-specific ranges is between $4,000 and $6,000? ‘There’s been a definite increase in sales of womens-pecific bikes at the higher end of the market, starting with a shift towards carbon models,’ says Olivia Bleitz, women’s business manager at Specialized. 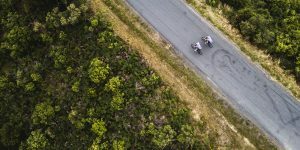 ‘This is backed up by an independent survey of 1,500 female cyclists by Sport Marketing Surveys, which found that 10% of women said they would be spending more than $6,000 on their next bike,’ she adds. The S-Works Amira SL4 is more than double that price, so what makes it so special? 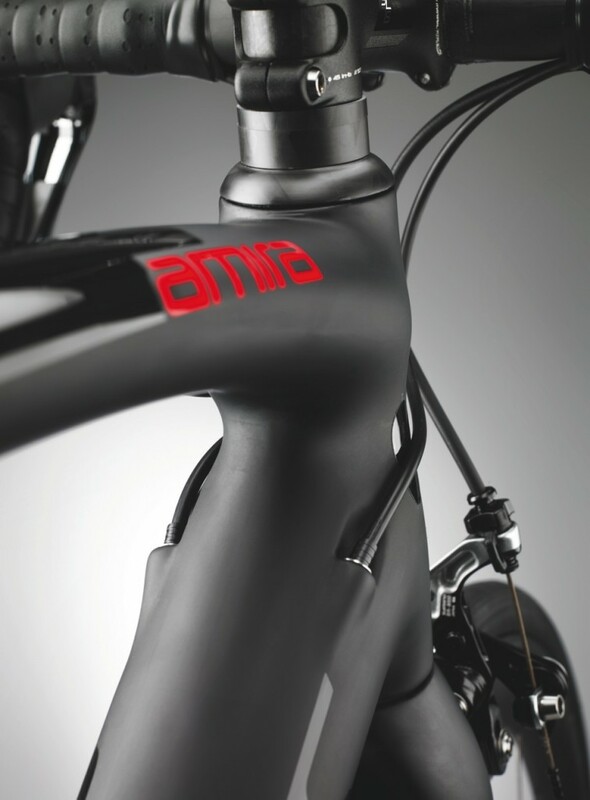 The Amira range was launched in 2010 as a raceready alternative to the endurance-focused Ruby. 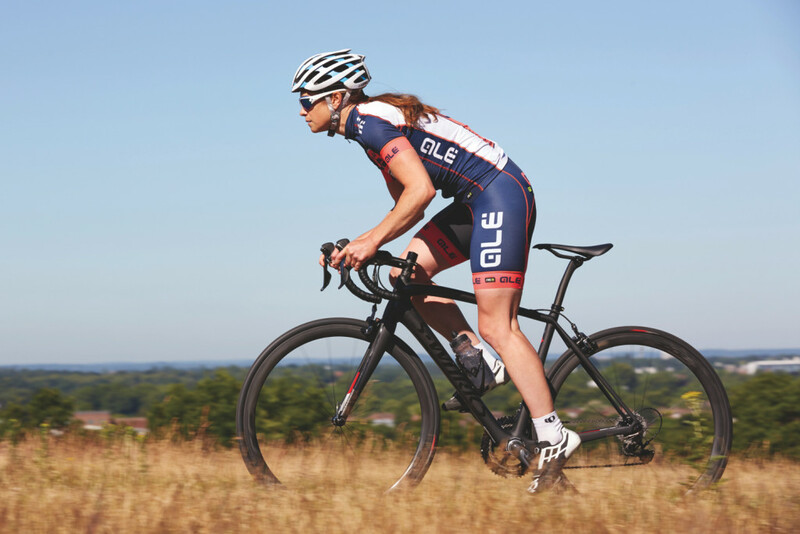 Over the past six years the design has been pulled, pinched and tweaked to create one of the lightest, stiffest bikes designed specifically for women – with geometry that’s sympathetic to the female form, but still with a hardline slant. Some might say that the S-Works Amira is the opposite of a typical women-specific bike. It’s aggressive, lightweight and quick to respond on the road. It’s the infuriating girl at school who is both top of the class and captain of the sports teams. The flared top tube joins a bulbous head tube (which Specialized refers to as having a ‘cobra shape’) that is laid up in such a way as to make it as stiff as possible. 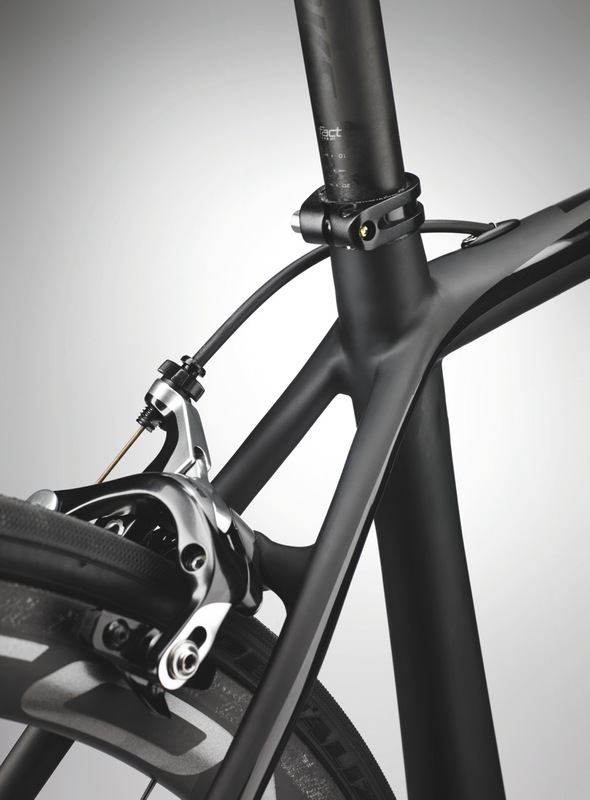 The stem practically insists on being slammed to maintain that aggressive riding position. But creating a stiff, responsive bike for a woman isn’t as simple as sizing down a unisex frame. 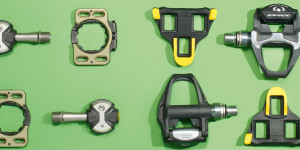 ‘The whole frame is designed around a lighter, female rider,’ says Bleitz. 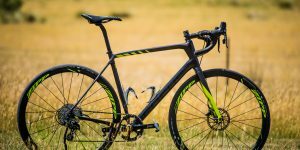 ‘We use a different carbon layup that has greater deflection and is suited to a lighter load.’ While the Amira frame is super stiff, it isn’t as rigid as the Specialized Tarmac – the closest unisex equivalent – and this is because women aren’t quite as heavy or as powerful as some frame-bending men. It’s also interesting to note that as the Amira frame sizes increase, so does the diameter of the tubes: a 56cm frame will have wider tubes than a 51cm bike because a larger, heavier rider will likely need a stiffer frame. This is a bike that delivers exactly as expected. I couldn’t get enough of it. I found myself setting my alarm for 5:30am so I could get some serious riding in before the kids woke up. And where the Amira really stands out is the pace with which it accelerates – there’s a reason that Lizzie and her teammates at Boels-Dolmans have had 15 wins on this bike already this season (by the way, there’s no custom team frame, the pros ride stock framesets). The fit is admittedly aggressive and if you’re not used to riding with your back flat and your nose hovering just above your stem, this bike might come as a shock. 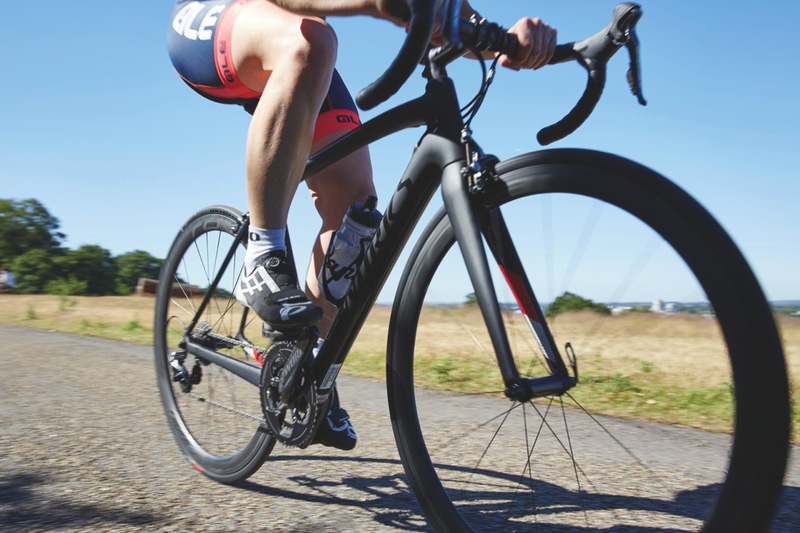 But the short, stocky head tube allows you to get low and aero over the front end of the bike, which in turn lets you connect with and control the bike at speed – something that’s generally lacking in the made-for comfort women-specific market. As well as the chunky head tube, an oversized down tube, bottom bracket shell and chainstays add further stiffness where it’s needed for pleasing power transfer and responsiveness. The S-Works Amira is a blast, although the trouble with a bike like this is that riding becomes binary: you’re either on or off. There’s no middle ground, so a spin around my local circuit turned into an episode of Wacky Races. The more I rode, the faster I wanted to ride. Clocking my Garmin I’d done an hour solo at 34kmh. I ended up completely drained but very happy. As well as a superior frame, the S-Works Amira SL4 boasts a very good set of wheels, something that can rarely be said for an off-the-peg women’s bike. 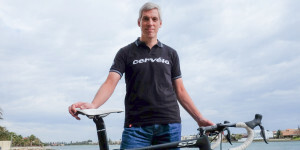 Five years ago Roval – Specialized’s in-house wheel manufacturer – was largely considered to produce so-so wheels, but big investment and a new direction under the guidance of Specialized engineer Jeremy Thompson has seen the quiet evolution of the brand. 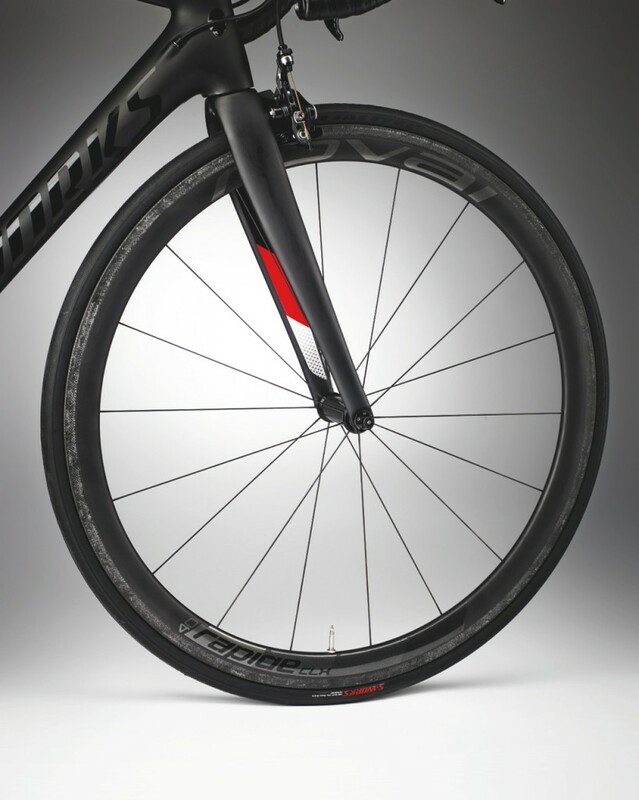 The S-Works Amira SL4 comes with Roval Rapide CLX 40 wheels, which retail for around $2,700 a pair and are hand built. With Specialized having its own wind-tunnel there should be little doubting the rims’ aero credentials, and on the road they deliver. 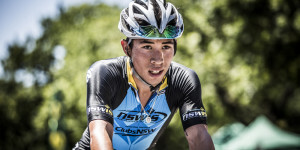 They’re fast to pick up the pace, holding speed well, and also dealing well with crosswinds. The total weight of the wheels without tyres is 1,375g. By comparison a pair of Mavic Cosmic Carbone 40C wheels costs about the same and weighs 1,575g. 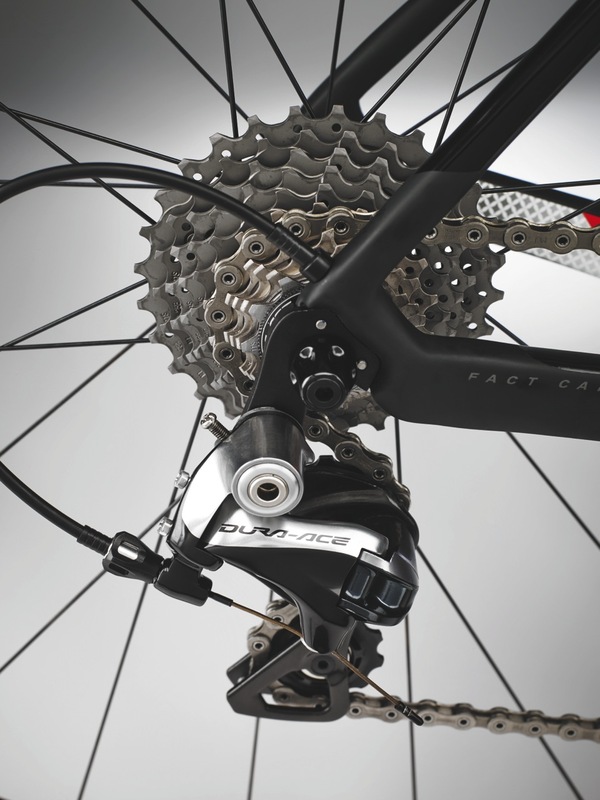 A full Dura-Ace 9000 groupset is as good as it gets and delivers faultless gear shifts as you flick down the cassette – something you’ll need if you’re going to get the most out of the bike. The finishing kit is all supplied by Specialized and includes the Oura Pro saddle, which claims to offer optimal power transfer but didn’t suit me in terms of comfort. The Specialized Women’s SL Carbon bars have a shallow drop for smaller hands but have as much chunk as a Yorkie, which I love, especially in a sprint, but again this comes down to personal preference. It is, admittedly, hard to criticise this bike. One reason for this is that the S-Works Amira SL4 has so few competitors, making comparisons hard. I’d be nitpicking slightly to say I was disappointed there’s no Shimano Di2 option, although the frame does have the ability to run electronic shifting. Admittedly this is probably not the bike for you if you’re a fan of the 200km-a-day ride, but in a shorter, punchy road race or criterium, I’d choose it every time. The monochrome, matt black paint job is understated and cool – if MI6 rode bikes, this would be their ride – and it makes a refreshing change from some of the pinkified women’s bikes on the market. I met plenty of other riders, male and female, who couldn’t believe that this is a women-specific bike, and that can only be a good thing. The 2016 issue paint scheme has been freshened up and now comes in Gloss Satin Chameleon/Black/Silver. 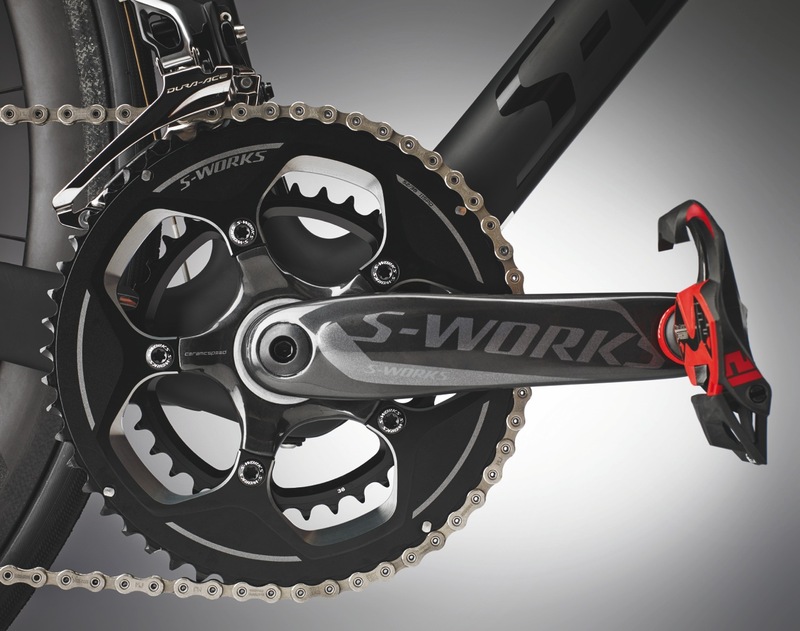 Specialized has been speccing its own S-Works chainsets on its high-end bikes for many years. Don’t mistake this for a cost-cutting exercise, though. The super-light carbon cranks save a bit of weight over even the top-tier mainstream groupset choices, plus they are optimised to work with the pressfit bearings the Amira uses in its bottom bracket. The rings and crank arms don’t fall short on stiffness and performance, plus the aesthetic touches perfectly match the rest of the bike.